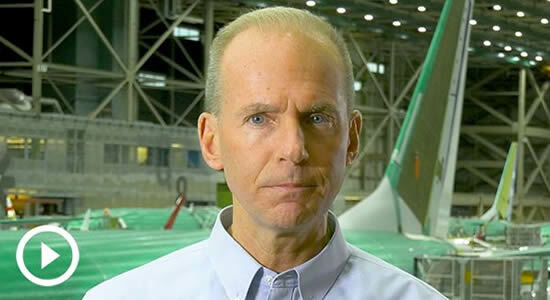 Following the Ethiopean government's briefing on Thursday (4th April) on the initial findings of its investigation into the crash of Ethiopian Airlines Flight 302, Boeing CEO Dennis Muilenburg gave a video address acknowledging investigators’ findings that its faulty angle of attack sensor input activated Maneuvering Characteristics Augmentation System (MCAS). I cannot remember a more heart-wrenching time in my career with this great company. When I started at Boeing more than three decades ago, our amazing people inspired me. I see how they dedicate their lives and extraordinary talents to connect, protect, explore and inspire the world - safely. And that purpose and mission has only grown stronger over the years. Again, we’re deeply saddened by and are sorry for the pain these accidents have caused worldwide. Everyone affected has our deepest sympathies."